Are you confused about what deductions you can take? If you don’t take all the tax deductions that you’re entitled to, then you’re just giving your money away. There are many tax deductions and credits that are not well known. 1. Non-cash donations to charities. We all know to deduct the checks we write to our favorite charity, but most of us forget to deduct other things. Items like automobiles, clothing, food, furniture, and more are all deductible. * You’ll need to show receipts if you get audited, so be sure to collect your receipts. 2. Mortgage refinancing points. If you’ve refinanced your mortgage, you can deduct those points. In many cases, they have to be deducted over the life of the mortgage. So if the mortgage is for 15 years, you can deduct 1/15 per year. It’s not much each year, but it adds up. 3. Medical insurance premiums. If you spent more than 7.5% of your income on medical expenses, you can likely deduct the cost of your medical insurance premiums. * If you’re self-employed, you can deduct 100% of your medical insurance premiums without meeting the 7.5% requirement. 4. Energy savings home improvement. You can get a 30% credit for any energy saving improvements you make to your home. This is a credit, not a deduction. So you not only get to take 30% of the cost of the improvements directly off your tax bill, but you also get to save money on your utilities. You win both ways. 5. Retirement tax credit. Contributions to retirement plans are typically untaxed at the time of the contribution. If your income falls below a certain level, you can also get up to a 50% tax credit to boot! 6. Disaster. If your area was officially declared a disaster area, you can deduct your losses. * The cost of publications and subscriptions for investment research, like investment-oriented magazines and The Wall Street Journal. Taxes are likely your biggest expense each year, so spend some time to familiarize yourself with tax deductions. How many of these deductions apply to you? See your tax professional if you’re unsure if you qualify. If your financial situation is complicated, it would be wise to find a real expert. Don’t try to wade through all the tax changes every year by yourself. The extra money you save on taxes can be well worth your time. Budgeting is an exceptional way to help you stay in control of your money. The simple act of creating a budget, and sticking to it, reduces stress and helps keep your finances in order. However, a budget isn’t something you just set and forget. It’s an adaptable document or plan that needs to grow and change as your finances and financial goals change. So don’t just set it and forget it because that’s when it will not work. Here are a few tips to modify your household budget……. It’s important to spend time each month to balance your budget. Total all your expenses. Did you stay in budget? Why or why not? Do you have any areas of your budget where you’re under? Great – what will you do with the extra cash? Review your budget each month and make tiny modifications to help you maximize your money. When reviewing your budget, look for consistencies. Where are you always over or under budget? These are prime areas to capitalize on. For example, if you’re always under budget in your food category, then you can reduce that category and reallocate the money to a different category such as entertainment. But at the same time if you’re always over in the entertainment category try and figure out where else in the budget you were under or what else you can cut if needed. Or just try harder next month to not spend as much when you do go out or entertain. This is a great time to come up with ideas on saving money and these are prime examples of why you should visit your budget often and see what is working and what is not. Look for areas of your budget where you’re always off. For example, if your utilities budget is always over or under budget, examine the reason why and see if there are steps you can take to create a consistent monthly amount. For example, many utility companies allow you to pay a predetermined amount each month. This helps you avoid changing your utility budget each season. And it helps you create a budget that’s easier to track and control. You should also look into ways you can reduce your bills. Try lowering the thermostat and turning off lights and appliances you’re not using. One of the reasons people create budgets is to understand where their money is going and to make sure they have enough to go around. However, it’s also a powerful tool to help you attain financial goals. In fact, if you’re not using a budget to help you achieve goals, you’re missing out. Goals can include short-term goals like saving for a vacation and long-term goals like saving for college and/or retirement. Goals can include paying off your mortgage early or saving enough money to afford life insurance. There are any number of financial goals you can use your budget to help you achieve. This is probably the best part of a budget and it can give you the motivation you need to keep sticking to it! 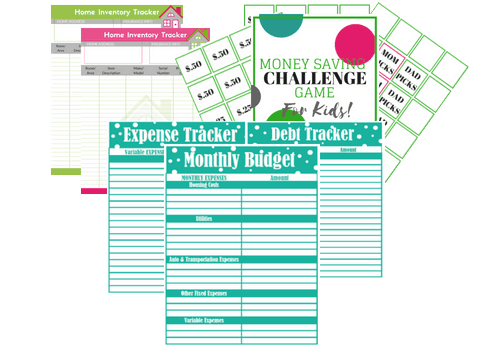 Finally, it’s easy to stress out when your monthly expenses don’t match your budget. Don’t stress! Use your budget to help you make changes. Creating a budget is a great start. Now take the time to review it and change it as your needs, goals, and finances change. Small tweaks and modifications to your budget can really add up and over time you will find that your budget will be working for you and your goals and that it is a tool in your life. What budgeting tips work for you? Share them in the comments and feel free to share this post with your friends by using the sharing buttons above and below this post (sharing is caring). Thank you for reading. Is this you? You sit down to pay your taxes, and the stack of receipts and paperwork beside you falls to the floor. You begin filling out the paperwork and forms, whether by hand or online, only to realize you’re missing information. Or you get a phone call from your accountant who isn’t accepting your shoe box full of receipts anymore and now you have to start organizing the big mess! Does any of this sound familiar? This is the reality for millions of people every April. The “why worry about it now?” mentality takes over the other eleven months of the year. Then come April you just want to kick yourself. Whether you’re somewhat organized or your papers are a complete mess, these tips and steps will help you get through your taxes with as little pain and stress as possible. 1. Gather Your ID Numbers -Keep your tax identification numbers, social security numbers, and social security cards, in a safe place and keep them all together. You’ll need the social security numbers for all of your dependents as well as yourself, and your spouse if you’re married. When you’re filling out your tax forms you won’t have to hunt for this information. 2. Gather Your Income Forms and Statements-If you’re employed then you’ll want to gather your w-2 forms from the past year. If you’re self-employed, you’ll want to run reports that display your profits, expenses, and income for the past year. You’ll also want to have last year’s tax forms at the ready. This is particularly useful if you are having an accountant file your taxes this year or you’re using a software program to determine your taxes and file them. You’ll also want to gather all the forms from your various assets and investments. Own a home? You’ll receive a statement from the bank that owns your loan. Own stock? You’ll receive a form from your broker. If you have any type of retirement or investment account, you’ll receive a statement from the financial institution holding those accounts. These forms will outline the money you’ve earned, or lost, for the year. You’ll also receive statements from organizations you’ve donated money to. 3. Gather Your Receipts-You don’t need to keep every single receipt you had for the entire year. The receipts that are important are the ones that are related to your medical expenses, your childcare expenses, your business expenses and so on. If it’s related to a potential deduction then keep the receipt. That’s it! With this information you should be able to sit down and finish your taxes in just a few short hours. Organization saves time and stress, and it ensures you have all the information you need to do your taxes correctly. For many people, staying on budget can be very challenging. Even the word “budget” makes them cringe. If keeping to your budget seems like an unattainable task, you’ll be happy to know that there are ways to stretch your budget and still enjoy a quality lifestyle. You first have to create an effective budget and then stay within that budget. 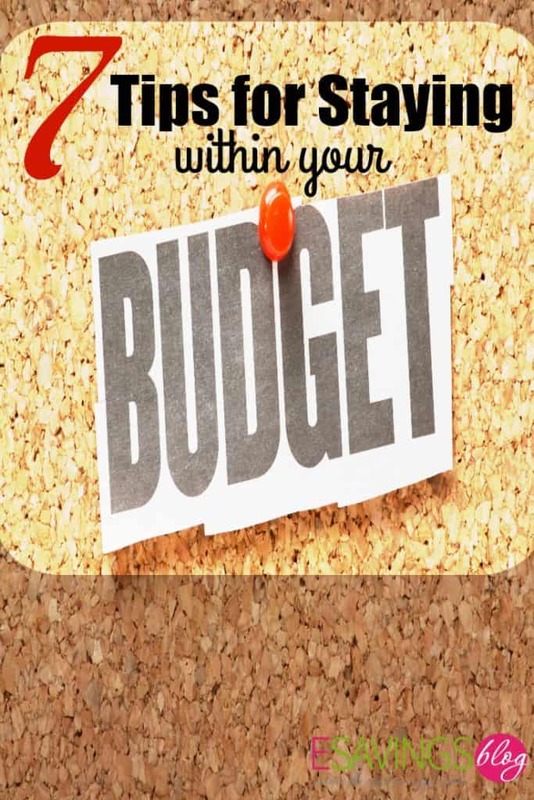 If you are having a hard time staying within your budget, some of these tips may help. Need more help with your budget? Check out my post on creating an effective budget. 1. Put Your Credit Cards Away. Put them somewhere you cannot get to them easily. It’s so easy to forget the real costs of the things you buy when you just swipe your card. Don’t feel guilty about falling for this trick; the easiest way to combat it is to keep your cards hidden away. Only bring them out when they’re truly needed or just keep one in your wallet for real emergencies. 2. Make Envelopes. Grab a stack of envelopes, mark each one with a designated expense, and put in your allotted allowance for each expense. It’s easy to stay on track when the money for your bills is pre-counted and away from reach. Automating your bills is even better so you cannot spend the money designated for that bill (just make sure you have enough money in the bank to cover it). You can even go as far as having an envelope marked lunch money, gas money, etc. in your purse. That will give you a sense of what you spend the most money on. Not sure if you want to use regular envelopes for your cash? Check out these awesome cash envelope systems. 3. Use Cash. It’ll help you see the actual value of what you’re paying if you only use cash. If you don’t like handling money, you could opt for using your debit card. Just remember to stay on top of your balance, so you don’t overdraw your account. 4. Cut Back. Believe it or not, there are usually ways you can cut back without even feeling much of a difference. Take some time out of your weekend to call up the cable company, the phone company, or your cell phone company. Discuss different lower cost plans. Maybe you don’t use all of your cell phone minutes each month or perhaps you can live without HBO. Check out 5 Ways to Reduce Your Cable Bill for tips on saving on your cable expenses and my post on how to Save Money on Your Electric Bill to get started. Bring your lunch to work. I find this hard to do at times, but I try to do it at least three days a week because it adds up! If you do go out to eat or do takeout avoid ordering a drink because those can cost you a lot. Bring drinks to work, a 12 pack of soda or a case of water is a whole lot cheaper than spending $2.50 on bottled water at the restaurant or takeout place. 5. Grocery Shopping. There are certain luxury items that some people opt to put in their budgets, while others won’t. However, a grocery bill is something that everyone shares. 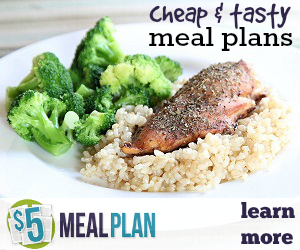 Analyze how much you spend each week at the grocery store and see if you can bring down the average amount. This can be one of the best places to save money in your budget. Use Coupons! Visit my coupon center to print out your grocery coupons and make sure you have your store’s rewards card so you get all the sales and deals. Have no idea how to use coupons? 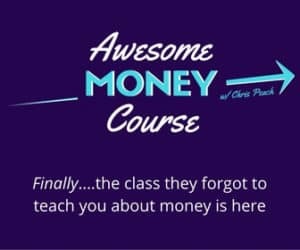 Check out my free e-course! Look out for Gas savings and other savings like bringing your reusable bags which grocery stores sometimes give you 5 cents credit per bag you use. Seems small but it adds up and you are also saving the environment. 6. Budget for a splurge item. Treat yourself to something special every once in a while, while still staying within your budget. While you may not be able to afford it too often, you can save up some money for a special treat for yourself. This will actually show you that when you budget you know when you have money to spend and won’t feel guilty doing it. It may be something you’ve meant to get, or maybe you just want some money to hit up the town or go to a movie. The point is, if you’ve budgeted for this it won’t be a shock when you balance the books later. 7. Make Homemade Gifts. There are many holidays throughout the year where you’re expected to deliver gifts for your loved ones. If you’re tight on cash, don’t forget about homemade gifts. These gifts are most often considered more thoughtful than anything you could have purchased. For example, make a scrapbook or photo album. While there’s some cost involved, the finished product will be priceless – yet far less than the latest gadget. Plus especially for moms, they take a million pictures of their kids but sometimes do not have time to print them; they just sit on Facebook or in their camera. Print those out for them as a surprise and buy a beautiful photo album to put them in. The cost is minimal, and the gift is very thoughtful! If you’re still having trouble balancing the budget, it’s important to keep trying new things until you have a system that makes you feel comfortable. With the right techniques, a budget can be the tool that brings you freedom! 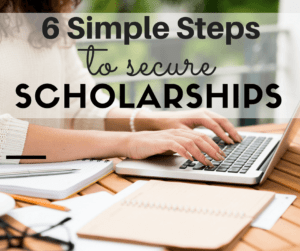 Staying within your budget does not have to be difficult. Budgets are meant to change if needed. 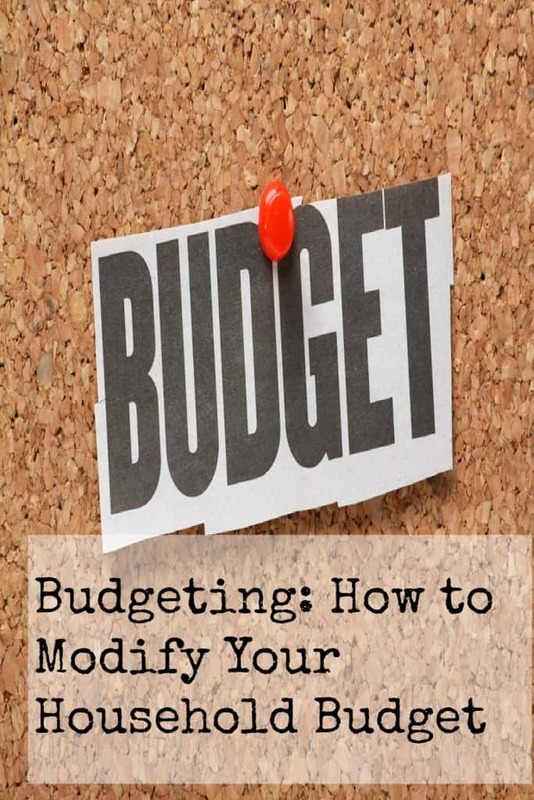 Check out How to Modify Your Budget for more on that.